We love a dose of Bangla cinema – it’s been seen to be more progressive and pathbreaking than Bollywood films, and brings out Bengal and Kolkata in the background. Here are the best places to catch up on films from Bengal. Where do you go if you want to see a film but don’t want to spend a fortune on a ticket? And what if you care as much about munchies as you do about movies? Best to hit up the still existing single screen old cinema halls. From marvellous retro signs to squishy old armchairs, it’s a different experience. There are many such halls that are still around and some have even been revamped like Priya, Menoka, Basusree and others. We are all quite fond of the warm, welcoming shabbiness of Nandan and the outside area that’s a no-nonsense place to meet and hang out. It’s known to screen offbeat, non-mainstream films and comes alive during the international film fest in winter. For a perfect Sunday, pair the movie with a stroll down the road towards the planetarium. Did you know Kolkata got its very first theatre in 1883? And that this 135-year-old theatre still runs strong? 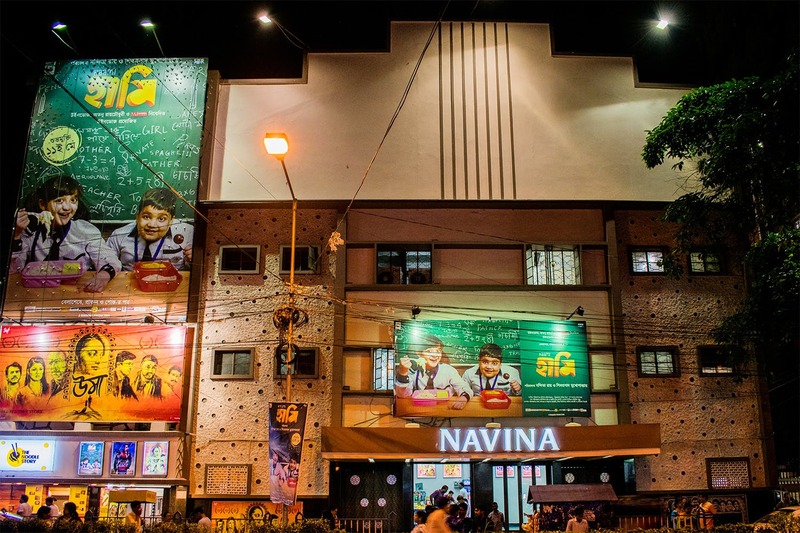 Star Theatre is just a ten minute walk away from Shovabajar-Sutanuti metro station. This heritage building has also seen the birth of Bengali cinema — it was one of the places that screened the first Bengali motion picture. It brags of one of the best acoustics in Bengali single screens. Back when it began, it used to be a platform for theatre productions. Renowned actors like Girish Chandra Ghosh, Nati Binodini, Saraju Devi, Shishir Bhaduri, Dani Mitra, Uttam Kumar, Soumitra Chatterjee, Geeta Dey, Sabitri Chatterjee and Madhabi Mukherjee have all earned their stardom performing at Star. If you prefer watching something really offbeat, hit up the screenings at places such as People’s Film Collective which uses the medium of cinema and visual imagery to create awareness around social issues. They are an independent, autonomous, people-funded cultural-political collective. Since their inception, they have worked tirelessly to make sure quality regional and world cinema reaches everyone and not just people who can afford tickets to multiplexes. The films and documentaries they generally screen are of the kind that people wouldn’t find in big theatres, so if you’re someone who perpetually hunts for lesser-known cinematic masterpieces and well-made documentaries, PFC is a boon.